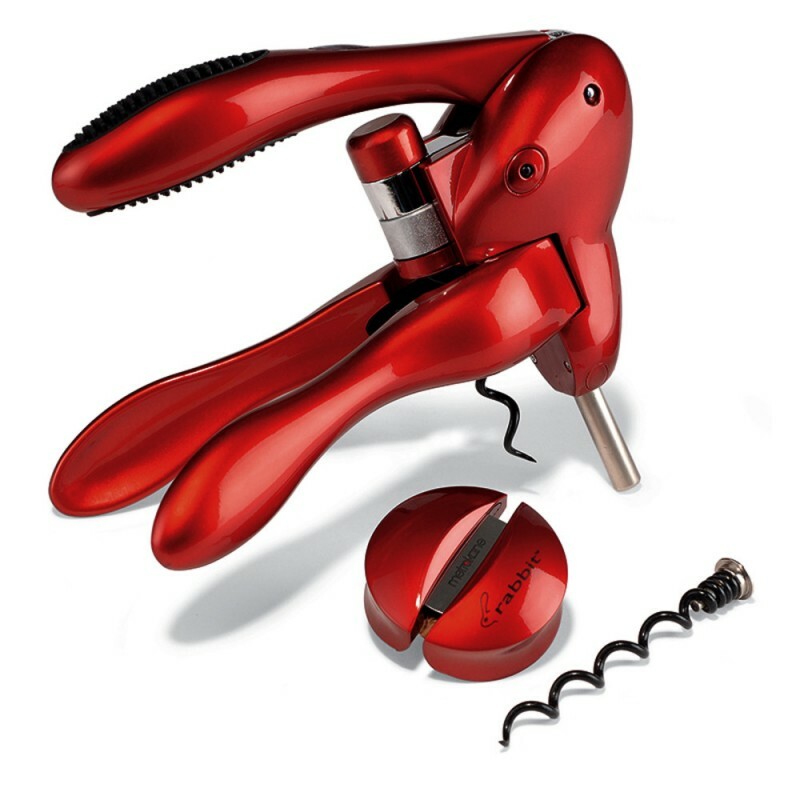 Rabbit Corkscrew (P/N 6004). Easy to use with an ergonomic design, the Rabbit opens any size wine bottle and is backed by the manufacturer's Ten-Year warranty. Assembled in a handsome presentation case for gift-giving and permanent storage, this kit includes a matching foil cutter and extra spiral.